The Treaty of Sèvres was the peace treaty between the Ottoman Empire and Allies at the end of World War I. The Treaty of Versailles was signed with Germany before this treaty to annul the German concessions including the economic rights and enterprises. Also, France, Great Britain and Italy signed a secret "Tripartite Agreement" at the same date. The Tripartite Agreement confirmed Britain's oil and commercial concessions and turned the former German enterprises in the Ottoman Empire over to a Tripartite corporation. The open negotiations covered a period of more than fifteen months, beginning at the Paris Peace Conference. The negotiations continued at the Conference of London, and took definite shape only after the premiers' meeting at the San Remo conference in April 1920. 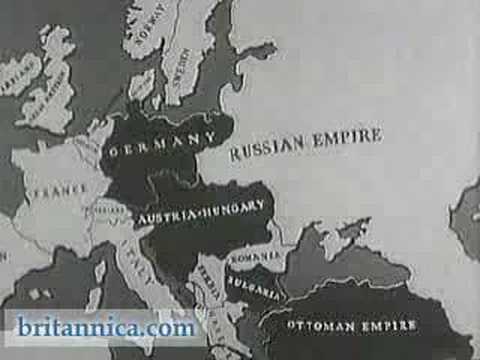 France, Italy, and Great Britain, however, had secretly begun the partitioning of the Ottoman Empire as early as 1915. The delay was due to the fact that the powers could not come to an agreement which, in turn, hinged on the outcome of the Turkish national movement. The Treaty of Sèvres was annulled in the course of the Turkish War of Independence and the parties signed and ratified the superseding Treaty of Lausanne in 1923. Peace treaty concluded in 10th of August 1920 after World War I at Sevres, France, between the Ottoman Empire (Turkey), on the one hand, and the Allies (excluding Russia and the United States) on the other. The treaty, which liquidated the Ottoman Empire and virtually abolished Turkish sovereignty, followed in the main the decisions reached at San Remo. In Asia, Turkey renounced sovereignty over Mesopotamia (Iraq) and Palestine (including Trans - Jordan), which became British mandates; Syria (including Lebanon), which became a French mandate; and the kingdom of Hejaz. Turkey retained Anatolia but was to grant autonomy to Kurdistan. Armenia became a separate republic under international guarantees, and Smyrna (modern Izmir) and its environs was placed under Greek administration pending a plebiscite to determine its permanent status. In Europe, Turkey ceded parts of Eastern Thrace and certain Aegean islands to Greece, and the Dodecanese and Rhodes to Italy, retaining only Constantinople (modern Istanbul) and its environs, including the Zone of the Straits (Dardanelles and Bosphorus), which was neutralized and internationalized. The Allies further obtained virtual control over the Turkish economy with the capitulation rights. The treaty was accepted by the government of Sultan Mehmed Vahdettin VI at Istanbul but was rejected by the rival nationalist government of Kemal Atatürk at Ankara. Atatürk's separate treaty with the USSR and his subsequent victories against the Greeks during the War of Independence forced the Allies to negotiate a new treaty in 1923 (Treaty of Lausanne).